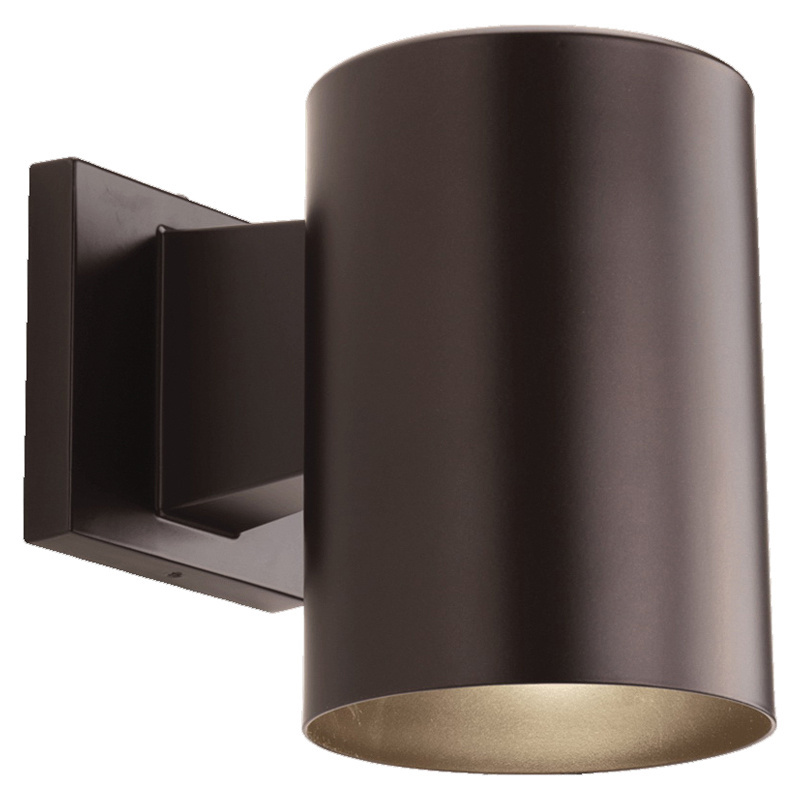 Progress Lighting Cylinder Collection Outdoor wall lantern in powder-coated antique bronze finish, features die-cast aluminum construction. It features metal that brings elegance to the home. This transitional style lantern uses one 75-Watt halogen/incandescent lamp. The PAR30/BR30 medium porcelain socket lamp has voltage rating of 120-Volts. It has 8-Inch extension from wall and 2-1/2-Inch center to top height. This wall mountable lantern has a dimension of 5-Inch Dia x 7-1/4-Inch. It comes with 6-Inch lead wire for hassle-free installation. It is suitable for a wide variety of interior and exterior applications such as residential and commercial. Lantern is UL/cUL listed and cCSAus certified.